Following on from my Five Tips For Live-Tweeting blog, I wanted to share some things I don’t like to see organisations doing on Twitter. Not all of my tips will guarantee a successful Twitter account – in fact, many of the world’s most popular accounts are frequently guilty of these transgressions. Nevertheless, you’re definitely not Miley Cyrus, so take a glance at my Twitter etiquette don’ts! Does that word or phrase really need a # sign before it? No? Then don’t use it! It will just make your tweet less readable. People often use hashtags because they think it will make their tweet more searchable, given that the initial purpose of hashtags was to group tweets about similar topics. However, when you search for terms on Twitter, they will come up in the results, even if they are not ‘hashtagged’. If you must include a hashtag in your tweet, think about the wider context. For example, if tweeting about air pollution, putting #EU2030 in your tweet – the hashtag related to the EU’s policy framework for climate and energy policies – means your tweet could reach a different, more varied audience. An account that only retweets with no interaction misses the point of the medium. To get the most out of Twitter, you should engage with other users to have conversations and gain new insights – which will likely earn you new followers. If you only retweet what other people are saying, your voice and personal knowledge will not come across. Make sure that most of your tweet content is composed by you. Tag your sources where appropriate. It’s only polite to alert your followers to where you got that report from – and it will show that you’re engaged and aware of the rest of the Twitterverse. As an organisation, the best thing to do before setting up a Twitter account is to create some basic guidelines – what topics to tweet (and not tweet) about, how often and where to get content from. To get more followers it should be clear WHAT you’re tweeting about (and what not) – people generally do not like to follow haphazard Tweeters. 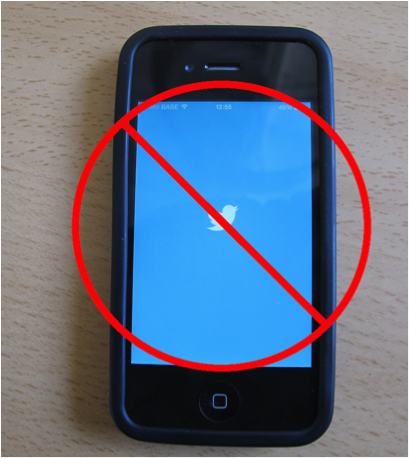 Twitter posting should also be structured – you shouldn’t tweet ten times in a day and then do nothing for a week. Your followers will not appreciate being bombarded. Don’t be a robot! 140 characters is limiting, but try and put a human voice in your tweets. Be irreverent and let your sense of humour shine through.